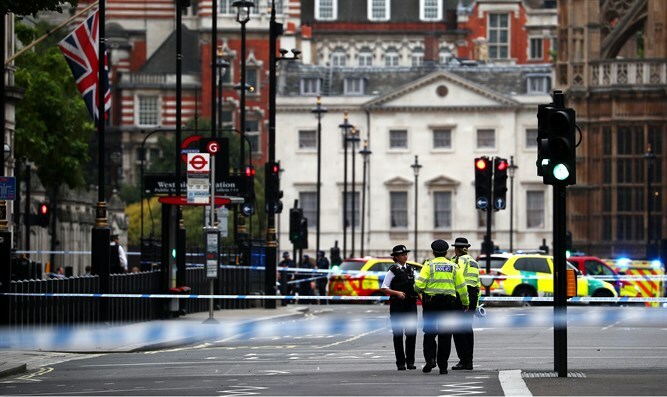 Man who rammed vehicle into Parliament barrier identified as Sudanese immigrant. British Police on Wednesday released the name of the man suspected of ramming a vehicle into the London Parliament's security barrier. Several people were injured in the attack, but none are in life-threatening condition. The 29-year-old suspect, Salih Khater, is a Sudanese immigrant to Britain, UK media reported. According to the Sun, Khater spent several hours Monday night searching for a target. He was not previously known to the police.